Wow, where has the time gone? It has been 5 months since we started production at Winding Road Artisan Cheese and almost a year since we first were offered the opportunity to buy the facility. It has been a whirl wind of a five months, with an inclined learning curve and some lessons learned. We finally have our website up and running. 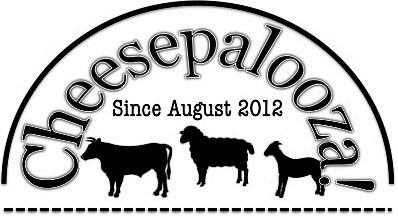 I will be “tweaking” it here and there over the next few weeks when I can, mainly to add places where you can get our cheese. There is much more to share, but be sure to click on the picture of the webpage to go to Windingroadcheese.com. How are sales going Ian? If you have followed us on Instagram, or on Facebook then you probably know that we have been at the French Quarter Grand Market on Sundays from 11 AM to 3 PM. I am there talking about and more importantly selling my cheese. Things are picking up and I hope to be announcing a few more locations in the coming weeks. Have you made any changes to the facility? Funny you ask that, I have rearranged the cheese room and moved the draining table next to the vat. It was a pain but it has made things so much easier. Plus I invested in some block moulds and a distributor plate. This means I can make up to 160 at a time of a certain type of cheese. Each block has 40 moulds and the distribution plate helps out when filling them. This is the new setup in the cheese room. It helps with the work flow. My new block moulds and distribution plate, this helps to speed up hooping and standardise the sizes of the finished cheese. This is not new equipment, but a new addition to the Winding Road team. I would like to welcome my new assistant, Alex to the team, he has been a great help over that past month and has excelled at everything I have thrown his way. Alas, this is the only picture I have of him. Hard at work wrapping RDB. Is there anything that has surprised you? I am surprised at the amount of paperwork that is involved with cheese production, but I shouldn’t have been. I also am surprised at the amount of samples we have sent out to prospective customers. It is worth sending them, but it has been a lot of cheese going out the door, sometimes without any payoff; but that is part of business. Three sample packs being readied for potential retail customers. The one thing that has surprised me the most, is how one cheese’s popularity has taken off. RDB, named for my Grandfather who was a Dairy Farmer in Quebec from the 1940’s to the late 1960’s, was originally meant to be a summer cheese. This little fragrant washed rind cheese was actually a vanity project for me. I loved washed rind cheeses, the stinky gooey awesomeness is the best part of them. I have worked on this cheese for the better part of four years. It has gone through many versions, the Yukon Raft being one of them. We originally promoted this cheese as a limited run, but the popularity with my customers has been beyond expectations. Plus thanks to some research by my good friend Addie, I believe I may be the only cheese maker in Alberta making a washed rind cheese on a full-time basis. If this is verified then that is kind of cool. If there is another one out there I want to meet the cheese maker and exchange cheeses. Some of the over 500 wheels of RDB in various stages of ripening. Fully ripened this aromatic cheese is so soft you can cut the top off and spread the paste like butter. As a matter of fact it is a good substitute for butter. One last thing has surprised me. I wore a Bow Tie for a cheese related function, now I am addicted to Bow Ties, I have two now and hope to get a third soon. I want to make sure I have a nice collection so when I do demos or functions I won’t have to wear the same tie two times in a row. I wear Bow Ties now, because Bow Ties are cool! Congratulations on continuing to grow your dream.